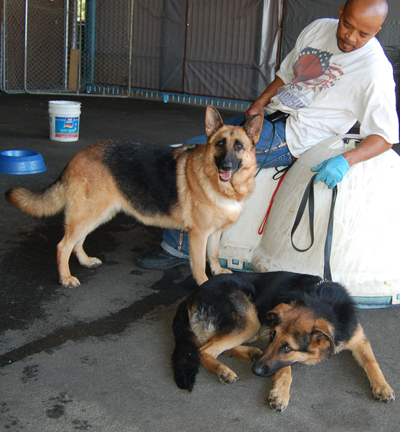 Romy von Schneider is a gorgeous 3 year old German Shepherd. She is a sweet and affectionate girl who will climb into your lap and wait patiently for pats on her head. She is an easy passenger in the car and even liked resting her head on our volunteer's shoulder during the drive. She loves people, especially when they give her treats. She's medium in size, about 65 lbs. On her first meeting with our cat, she paid no attention to it. Romy has the most beautiful face and coloring and a wonderful, cute personality too. You really have to meet her to appreciate all her qualities and when she crawls into your lap, you will instantly fall in love.